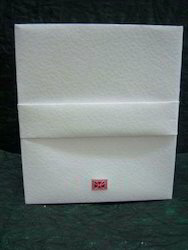 These Handcrafted Paper Diaries are available in white color cover has a unique texture and finish. It is made from environment friendly material and is a great option for gifting purposes. Gemstone Painted Handcrafted Wooden Pen Stand. - It is an exclusive showpiece for your drawing room, sure to be admired by your guests. The native charm of these beautiful handwork never goes out of fashion. This gorgeous pen stand wonderful as executive gifts.This pen stand make great gifts for an office or home. Keeping in mind the various necessities of the patrons, we are engaged in offering a wide assortment of Handcrafted Wooden Pen Holder. 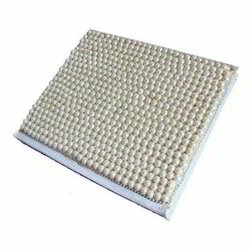 100%cottan Tree Free White & Gold Hand Crafted Paper Diary, Size: 6x8"
Lac Handmade Gifting Ball Pen. Old Indian look handmade Diary With beautiful traditional prints. We Providing You a Best Range Of handcrafted diary om. Lac Pen With Full Mirror Work and Glass Beads. It is made by Natural Resin and it is totally handmade product. beautiful Colors availble Pink.Green, Blue, Red, Brown etc. Get a name laser engraved on this elegant hand-crafted pen and create a hard to forget gift! An ideal gift token for friends and professional associates. Lovely handcrafted diary and pen are adorned with beaded designs and decorative accessories. This handmade gift set is best for gifting purpose to your college and school friends. These handmade diary comes in different designs and colors.